Introduce New Foods with Confidence. Join more than 1520 parents who are confident feeding their kids a healthy diet because they are in Dr Orlena's community. Be the first to hear about new classes, courses and products. The table is laden with crisp green lettuce, juicy cherry tomatoes and tender fresh asparagus. I’m in salad heaven. Well sort of. There is also ham, chorizo and cheese. It’s a special family lunch. I let the kids eat what they want. Ham, ham and some more ham. Or bread. So much for healthy eating for children. I sigh and wonder why I bother. 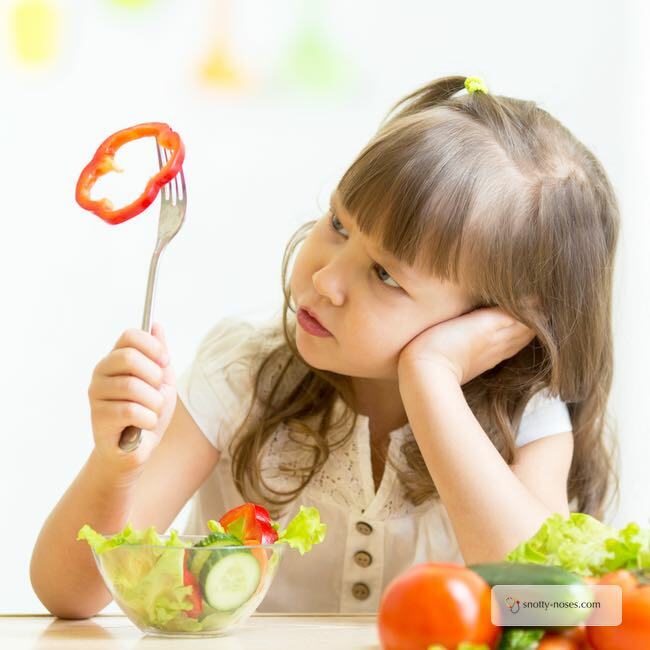 Are the benefits of a healthy eating for kids really worth the effort? It’s a tricky road to travel. Yes, I want them to eat what they like but I also want to teach them to enjoy the healthy stuff in life. The salad. The vegetables. The fruit. Why? Because I know it matters. I know that if they learn to pick out healthy food, if they learn to enjoy it, they’ll be eating it as an adult. And that’s when the real rewards happen. Ever had a look at medical statistics? All those facts and figures that tell you what illnesses people have? Perhaps you don’t need to. Look around you and you’ll see people with eating problems. What are the Consequences of a Bad Diet? 30% of adults in the USA are obese. 20% of children in the USA have weight problems. The WHO predicts that Type 2 diabetes will be the 7th leading cause of death in 2030. In 2012 it is estimated that 1.5 million people died as a result of Type 2 diabetes. I haven’t even mentioned the ‘cancer’ word yet. I don't want that for my kids and I expect you don't either. Let's look at it in a positive way. But there is hope. The WHO say that simple lifestyle measures can prevent you getting Type 2 Diabetes. Or obese. Cancer Research UK says that you can decrease your chances of getting cancer by 50% just by leading a healthy life. That means eating healthily and doing a little exercise. You can reduce your risk of getting lots of illnesses by eating healthily. By eating lots of fruit and vegetables. But what about my kids? Do I need to bother to teach them to eat healthily? Well, that’s the beautiful part. If I can teach them to eat healthily, to love their fruit and vegetables and eat treats in moderation, then they’ll grow up loving healthy food. It will be what they love. What they are in the habit of eating. I can make sure that they are in those healthy statistics. Those adults who aren’t obese, who don’t have type 2 diabetes and who have a smaller risk of cancer. What an amazing gift! So you see, although it’s tough at times. Although my heart sinks from time to time, I do bother. I bother to feed my children a healthy diet and I just keep going. I keep giving the fruit and vegetables and I keep teaching them about healthy eating for children.